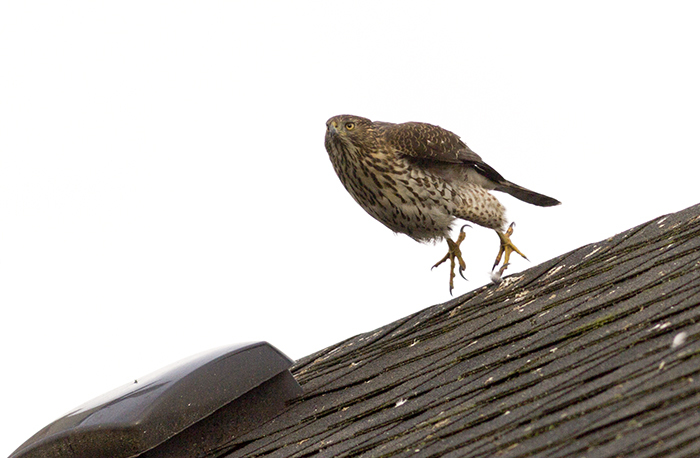 This lovely Cooper’s Hawk juvenile was right across our street when we arrived back home after a day of experimental rodent trapping…This is how it launches from a roof. This entry was posted on February 18, 2013, in Uncategorized and tagged action, BC, Birds, Cooper's Hawk, photography. Bookmark the permalink.